Phoenixville Area Time Bank presents an Introduction to Time Banking with Margo Ketchum on the second Saturday of the month, 2:00 to 3:30 pm at Orion Communities, 237 Bridge Street, Phoenixville, PA. 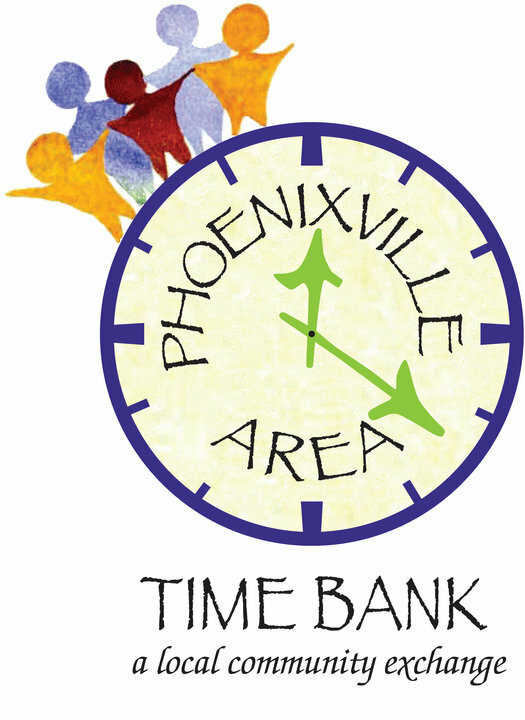 The Phoenixville Area Time Bank is a new kind of resource - Do you love to cook but can't mow your lawn? In an exchange of services, members give what they want to, and receive what they need. Come learn about the abundance in your community and what it has to offer you in this orientation for new members and refresher for current members. Time Dollars are a type of community currency that anyone can earn by using their time, energy, skills, and talents to help others. One hour of service provided to another human being or to the community earns one Time Dollar. You can spend your Time Dollars on any number of services, give them to a family member, to a friend who needs help, or to an organization of your choice. Or you can save them up for the future. Businesses and non-profits can join too. The next Time Bank orientation is Saturday, September 10, 2 pm, at Orion Communities, 237 Bridge Street, Phoenixville. Call 610-608-9281 or email timedollar@verizon.net to RSVP.